Ruslana is going to participate as judge on the jury panel of the Belgian national selection. As this issue will be interesting for the next 5 months I thought it deserves its own topic. It's really great news that she is going to perform again in Belgium! There are already two fans who didn't go to Antwerp, but they are willing to go to Brussels next year. Let's hope that there will be another fan meeting organized. My best friends Nikoleta Rangelova and Lusse the Katt ? Let's hope that there will be another fan meeting organized. There are already two fans who didn't go to Antwerp, but they are willing to go to Brussels next year. Yes who ? We know them ? It´s supposed to be easier....for me anyway, as I could get a flight. I also can´t think of anybody at the moment......maybe I´ve overseen something. There will be one, right? Right anyway, I´ll keep my fingers crossed for that. Serden and Nikki. They are both from the UK. Do they have nicknames or are it nicknames ? Their names don't sound very english. Sure they are not from BG ? And who else will come ? It's mo+tu. Not so obvious for every one. The Nikki you find on this page ? It's their first names as it appears on Facebook. I think that it's her, yes. Not a job for one day ? I suppose we know why she said "I love Belgium " ? Perform ? I don't know I read : promo tour. Next year ? And what about 2-3 dec ? There won't be any public event on 2-3 Dec.
Their names don't sound very english. Sure they are not from BG ? I met every fan I wanted to meet - except one. I have to do what Cora did ? I'm not so sure about that my friend. Never say die, get up man and try ? Listening to red army choirs now : Kassacks never say die. 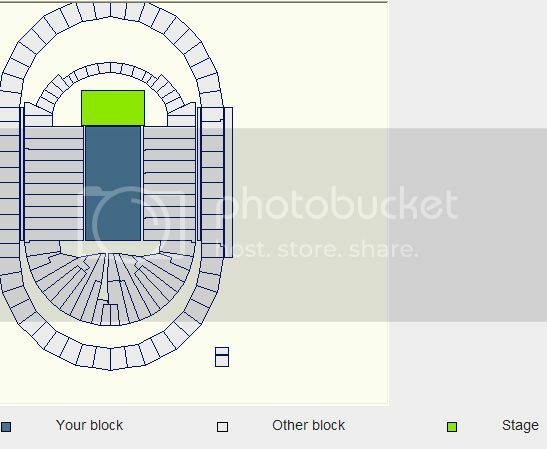 The tickets for the Eurosong final in Antwerp on 16th March are for sale. Ruslana is going to perform as well as being on the jury panel. The ticket prices are between 20 and 40 €. You can order 10 tickets in one go. We are trying to get a Ruslana fan block allocated from VRT (Belgium TV), but I don't know if it will be possible. While waiting for an answer, I would recommend that you sort between you who wants to go and which tickets you want (standing / sitting, which price category). Unfortunately I have no idea how many tickets are available and how popular they are. To be on the safe side I would recommend not to wait too long with buying tickets. If you want to sit together, one of you needs to buy the tickets and collect the money from the others. Or each of you buys tickets as you like. I will try to organize a fan meeting with Ruslana, but no guarantee. Well, there is not even a guarantee for her participation, but at the moment it's planned. Thank you, cora, for the info! One thing to keep in mind is also, that you have no influence on your seat, when you start the process of booking, as the seat plan won´t show up until you´ve chosen the number of seats and the price category. We are trying to get a Ruslana fan block allocated from VRT (Belgium TV), but I don't know if it will be possible. That would be just perfect, but of course, we can´t rely on if this is going to be possible at all. I would recommend that you sort between you who wants to go and which tickets you want (standing / sitting, which price category). It might be best gathering the people here, who want to go and clear, if everyone wants to get their tickets on their own or if we make a centralised buying. Just got the message that VRT will not allocate a certain area for the fans. The standing area (25 €) is not divided into zones. You can order tickets seperately for this area and still stand together. However, the standing area is pretty big and I don't know if you can see well if you are not standing close to the stage. Yes. My suggestion would be to set a date for a response otherwise it might take endlessly. After that date people would have to buy tickets seperately. Tell them Janukowitsh did not reserve a certain area from Majdan for opposition. But I think in Antwerp us Ruslana fans will be a minority. But serious now : Of course I am interested in meeting Ruslana and fan meeting. But I'm not interested in BE ESC final. I would have prefered the Maffay concert in Köln. I had a phone call with Esther but she had to go to a concert - in church ? An other problem of course : will she come ? Too early of course to ask her. About buying tickets, I discussed this with my husband. He would like to go as well, but we decided to buy tickets for seats as we can´t stand that long (I guess, the show might take about 2 hrs.....well, it was something different in at Grote Markt in Antwerp). Sure, I understand. Maybe others also prefer to sit. Maybe others also prefer to sit. Maybe yes...we will see. I now have booked our tickets. But I was so stupid to sit on the rocks under the fountain. Are you sure we shouldn't book for Majdan ? So this is when they decide the Belgian participant for Eurovision 2014? Does anyone know how long Ruslana's performance will be? Will it just be one song? So this is when they decide the Belgian participant for Eurovision 2014? Yes, Ruslana is one of 4 judges for the Belgian ESC selection shows. There will be 4 semi finals which are broadcast on TV but which can't be attended by the public. The last one, the final, is open to the public. Does anyone know how long Ruslana's performance will be? Will it just be one song? Planned are two songs: Wild Dances and another song (not yet decided).